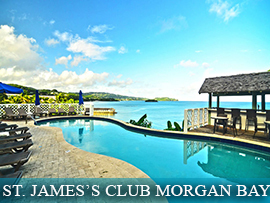 Just four miles south of the Castries lies Marigot Bay. 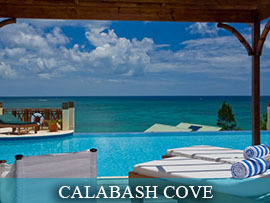 James Michener who wrote the chronicles of the islands in 1989 called it “the most beautiful island in the Caribbean”. 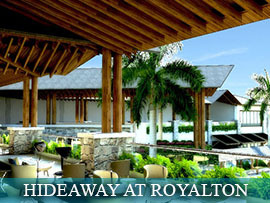 Marigot Bay feels like a secret treasure, and the charming, serene ambiance draws visitors to spend the day exploring. 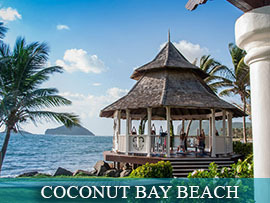 Home to several resorts and private residences, there are many excellent restaurants right in the bay, with free water taxis making it easy to move around. Be sure to stop by Capella Marina to gaze at the sailboats and yachts or have a waterside lunch or dinner. On top of the hill at Marigot village, enjoy spectacular views and a slice of local life, or take a hike up the forested hillside on the south side for a different panorama; you can even kayak through the mangroves around this wonderful bay, which featured in the 1967 movie Dr. Doolittle, starring Rex Harrison and a large pink snail! The embodiment of the word “tropical” unfolds at the Diamond Falls and Botanical Gardens, amid a confluence of exotic foliage, vivid blossoms and the fluttering forest birds that they attract. Carved out of an old cocoa plantation along a pleasant river ravine, the diverse gardens flow one to the next, each with individual charm and distinctive themes. In the midst of the splendid displays of brilliantly coloured flora stands evidence of Saint Lucia’s past as this, one of the oldest cultivated areas of the island sequesters the legendary Diamond Mineral Baths, reputed to be on par with the most lauded of Europe. Island history suggests that a young Empress Josephine enjoyed the benefits of these steaming pools. And, yet again, another legend has touched down upon these grounds. Superman, in Superman II, after having flown between the Pitons pauses before the enchanting Diamond Falls to pluck the remarkable bird-of-paradise for Lois Lane. It’s a time capsule. If we listen carefully, we can still hear the blissful voices of Ciboney and Arawak children echoing as they splashed and played in 900 BC Ioüanalao. A relaxed stroll through the Diamond Botanical Gardens to the picturesque waterfall reveals many appealing facets that meld nature and history. It is a most pleasurable way to enjoy a few hours. 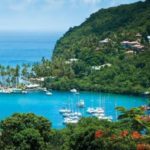 Diving off the waters of Saint Lucia is ideal for both beginners and experts alike as there are a variety of dive operators on the island who are dedicated to ensuring an exceptional diving experience. Beginners’ courses up to more advanced certifications are offered by most dive operators as well as short boat dives and night dives. Saint Lucia boasts a number of stunning dive sites that catapult divers into a tranquil world filled with secret nooks waiting to be explored. With some of the most captivating deep sea wildlife in the Caribbean, you can experience an underwater carnival as you swim with schools of brilliantly colored exotic fish. The most accessible diving and snorkeling sites are situated along the calm west coast in Soufriere, Anse Cochon, Pigeon Island National Park, Rodney Bay, and Marigot Bay. Edmund Forest is located 4.8 miles east-southeast of downtown Soufriere. 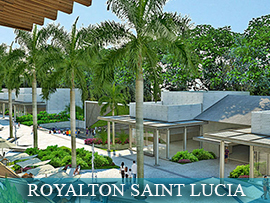 During a tour of this amazing forests, visitors will see the natural beauty of Saint Lucia one can see numerous plants such as bromeliads, orchids, mushrooms, lianes, as well as so many wildlife associated with the island. 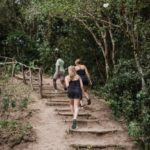 The 3 and a half hour hike is recommended for people with very active lifestyle because it can be very strenuous be sure to bring a good pair of hiking shoes. Pigeon Island National Landmark is a 40-acre park that retraces the many historical legends of Saint Lucia, showcases the local wildlife, and is surrounded by fantastic seascapes. It is in fact heralded as a “living museum”. Visitors to the park are free to amble, at their own pace, among the remnants of Admiral Rodney’s naval base, take a refreshing dip at one of the cosy coves, walk along the perimeter to the remains of a legendary pirate’s cave (that of Jamb de Bois aka Francoise le Clerc), or hike to the heights of the fort to gape at the spectacular 360 degree view. Pigeon Island has had over the years many different and interesting uses beginning with a shelter for Carib Indians and ending as a private retreat for a retired British Actress. It’s most impressive role, however, was that of a naval lookout espying towards the French stronghold at Martinique just some 20 miles to the north. This vigilance led to the British victory at the “Battle of the Saints”, known as the most important naval battle ever waged in the Caribbean. A mini-museum provides a brief overview of the park’s history and a stop there is highly recommended before one begins their exploration. Two restaurants on the grounds offer light meals and icy beverages. Nestled on six acres of lush, verdant land in the farming community of Chateau Belair, the trail is located in the Piton Management Area, Saint Lucia’s Heritage Site. The hike is rated easy to moderate and is roughly 45 minutes long. On this easy to moderate hike, learn about the plants and herbs and their medicinal uses, history, and culture of the nearby village. 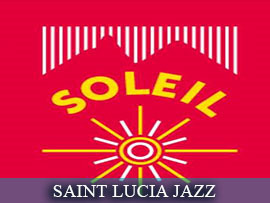 Enjoy the breathtaking view of Morne Gimme (ST. Lucia's highest mountain), the plains of Vieux Fort and its lighthouse; take in the beauty of the surrounding villages of Chousiel, Laborie, Soufriere and even the neighboring islands of ST. Vincent and Martinique. Embrace a 360degree view of natural wonders. A rush through nature best describes this fascinating adventure. Zip along a cable extended from one tree platform to the next and view the massive rainforest trees from an interactive perspective. 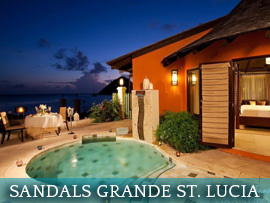 This is the perfect way to add a touch of adventure while exploring the beauty of Saint Lucian rainforests. At Rain Forest Sky Rides, in Chassin to the northeast of Saint Lucia, one glides gently upward along the mountain slopes in an open-air gondola, observing all the many wonders of this lush habitat. Then the pace shifts as one zips down through the canopy—leaves, blossoms, and birds left behind in a blur of greens dotted with blazing tropical colour. 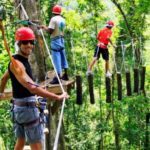 At Treetop Adventure Park in Dennery, near the central east coast, it’s only a short walk to the first platform that begins the ziplining adventure, but the thrill’s the same as one zips along, over 100 feet above the forest floor. An obstacle course is available within the same park and is particularly great for families, providing a full day of fun, challenge, and adventure. 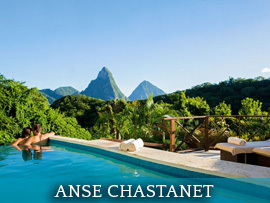 Morne Coubaril Adventure Park is located on an 18th century Plantation in St. Lucia. You can still see many historical features around the former plantation. You can see a working mill and see the steps of making sugar cane syrup, producing cocoa and producing coconut. The estates host numerous tours on the property for its visitors some more adventures than others. There is definitely something to do for all ages. 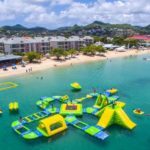 Last year, Saint Lucia welcomed the arrival of Splash Island and immediately the bright green and yellow inflatable water park became a hit with local and visiting kids alike. Located on the Northwest coast of St. Lucia, on the popular Reduit Beach, Splash Island is the Caribbean's first open-water sports park. Newly opened in August 2015, Splash Island is located near the multi-award-winning Bay Gardens Beach Resort & Spa located in Rodney Bay Village, Gros Islet, St. Lucia. Kids, families and weekend warriors alike will delight in this Caribbean water park's many obstacle-course style features. Splash Island St. Lucia's features include a trampoline, climbing wall, monkey bars, a swing, a slide, hurdles, double rocker, flip, and water volleyball. 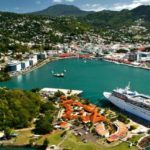 Look for the bright orange roofs in downtown Castries, right across from the harbor and you’ll find the centuries-old Cartries market. It is open Monday - Saturday but is recommended to go Saturdays to get the full local market experience. If your the type of traveler who loves to explore local territory this a great place to go; Take your time and stroll the market look at all the local tropical fruits, vegetable, spices, souvenirs. and much more. Canadian owner and brewer Andrew Hashley visited the island and fell in love with the island however he was not fond of the selection of beers. Located in Rodney Bay the Antillia Brewing Company is the only craft brewery in the area. The brewer currently has 3 styles of beer Golden wheat, Pale Ale, and a favorite amongst visitors Stout. Visit the Caribbean’s only drive-in volcano at the Sulphur Springs in Soufriere. Here a guide will give you a history lesson on how the volcanic crater was created and the therapeutic properties of the mineral waters and sulphur mud. Mysteriously boiling pools of dark water emit the pungent pong of sulphur. The continuum of steam rises in obscure puffs, alluding to a portent of some ominous being. Or, so the theological legends of the island’s early settlers suggest. Deemed by Carib folklore as a place where one’s soul meets death, this natural phenomenon, the Qualibu Caldera, does make a marked impression upon those who stand above peering into its murky depths. Yet, in fact, the Sulphur Springs act as a safety value, constantly releasing subterranean pressure, stabilising the area. A visit to the park, located in Soufriere (a name that means “place of sulphur”) is an absolute must for all visitors to Saint Lucia. Allow time to soak in the mineral impacted mud beneath the springs, mystical mud which local legend guarantees will make you look and feel younger! The Tanzanite Heights Waterfall known locally as the Superman Waterfall is located in Soufriere on the southwest coast of St. Lucia. 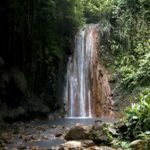 Superman Waterfall offers tours featuring the site’s hidden treasures, including an exclusive hike through an 18th-century sugar estate, breathtaking views, and an abundance of indigenous flora and fauna culminating at the spectacular waterfall, with its enticing cascading mineral-filled water. 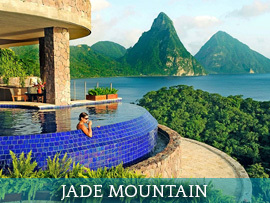 There is a plunge pool, which includes the experience of enjoying one of Saint Lucia’s popular attractions, a mud bath. The uniqueness of this waterfall is its varying temperatures of warm to cold, and changes in the colour of the fall’s surface rocks. The tour includes stops at breathtaking heights with amazing viewing points from the east, offering views of Mount Gimmie, the highest point on the island, standing some 3119 feet above sea level, as well as viewing points from the west and north, all experienced in a natural ambience and background songs from enchanting birds. From Jack Nicklaus, the “golden bear” himself, to the self-proclaimed casual golfer, Bill Clinton, many a legend has pitted himself against the par-71 course at the Saint Lucian Golf Club. 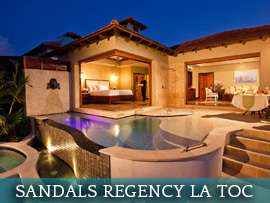 Located within the northernmost residential area of the island, the upscale community of Cap Estate, the intriguing layout meanders through a sprawling acreage of gentle rises and lengthy expanses to reveal incredible sea views and mountain vistas. A soft Atlantic breeze adds to the challenge, as does the clever design of this 6685-yard configuration incorporating a series of ponds set amid swaying palms and a multitude of tropical blossoms. Equipment rentals and lessons are available and the clubhouse offers welcome refreshment at the nineteenth hole.